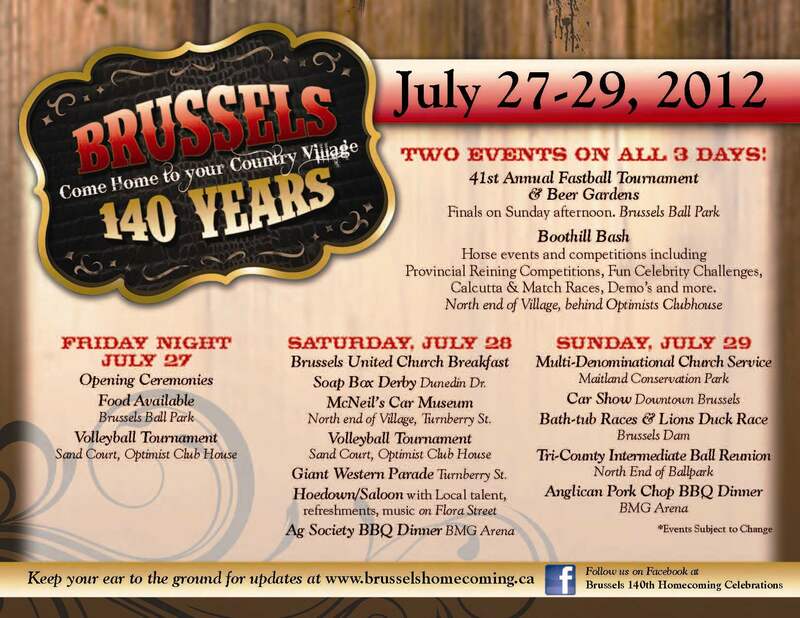 Come help us celebrate at the Brussels 140th Homecoming…..everyone is welcome. For a full event schedule download the enclosed brochure. This entry was posted in Uncategorized on May 25, 2012 by Jan Hawley. 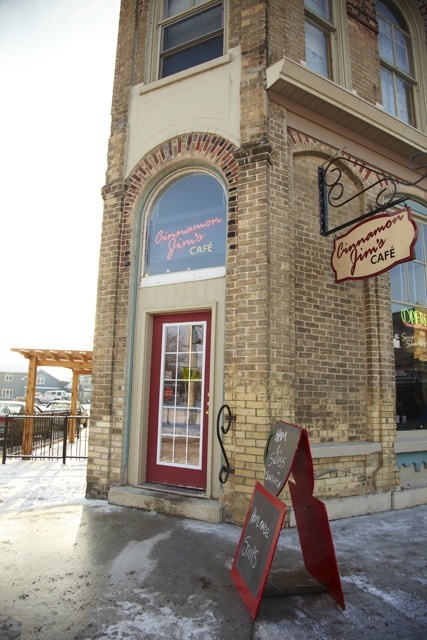 This week at Cinnamon Jim’s Cafe…..
Huron County’s newest entertainment and dining hot spot………visit Cinnamon Jim’s Cafe in Historic Downtown Brussels to experience the best in fresh, healthy & delectable cuisine and some great Blues. Home-cooked prime rib served up with sautéed onions and gravy on a fresh-baked bun. Homemade meatloaf with tasty toppings on your choice of bun. Comfort food. You deserve it. With a market salad and garlic bread. Chicken Bruschetta Salad 8.95 Diced chicken breast, tomato and our own croutons tossed with mixed greens and a zippy Italian dressing. We slow-cook the pork in our own southern-style sauce and serve it on a fresh-baked bun. 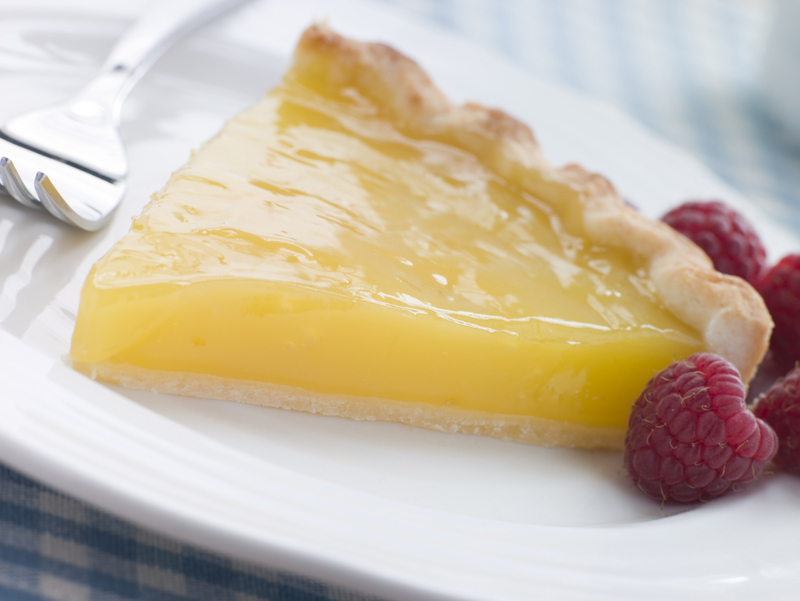 Perfect for patio dining here or takeout. Bring on the long weekend! 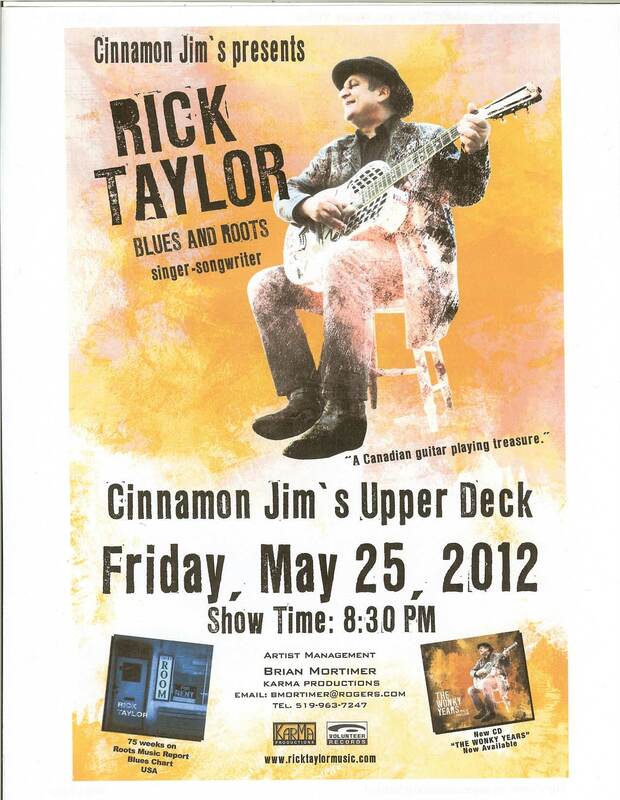 Check out Rick Taylor on May 25….seating limited,so call now to guarantee your chance to hear some great Blues. Buy generic dapoxetine Online Australia Discounts. Men’s Health. Cheap Prices, Cholesterol, Moneyback Policy. buy amoxil Online, Amoxicillin For Pain, Ld50 Amoxicillin . This entry was posted in Uncategorized on May 14, 2012 by Jan Hawley. Sweets and posies a perfect combination…. 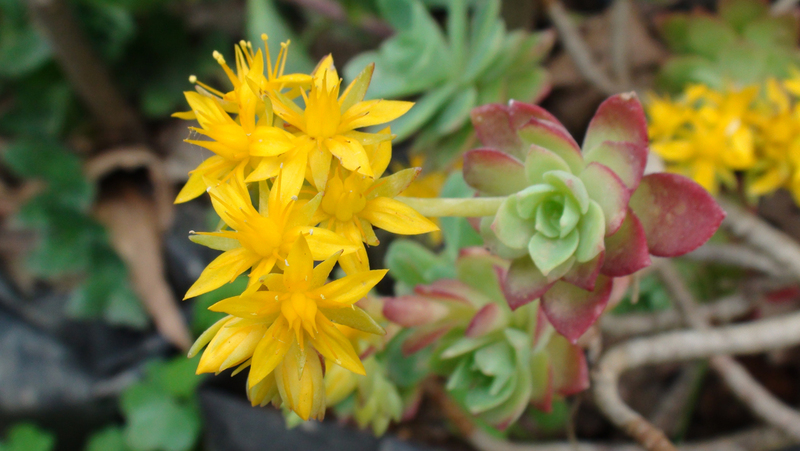 Take time to smell the flowers and taste the wonderful delicacies for sale in the parking lot at Northside United Church 54 Goderich St. West in Seaforth. Proceeds to go to the Seaforth Horticultural Society. Please note that this event, traditionally held on the “Seaforth Community Wide Yard Sale Weekend”, the first Saturday in June, is now being held on the long-weekend in May. Order Online at USA Pharmacy! Amoxil Generic Name Uk. Approved Pharmacy, cheap amoxil No Prescription. This entry was posted in Uncategorized on May 13, 2012 by Jan Hawley.